From the external view, we all see industrial equipment as just a sheer assembly of all components. But what goes into manufacturing one is enormous. Assembling components alone are not involved in manufacturing of industrial equipment. Validation is an important part of the process and under validation comes the testing of Computational Fluid Dynamics. Perfect and stunning outer look alone won’t say equipment is fit to be launched in the market. Rather how it reacts to different conditions and is it resistant to untoward incidents. So many tests like finite element method, spectral element method, coherent vortex simulation, direct numerical simulation to name a few are done to ensure each equipment manufactured is in the best of all conditions to make the end user’s ride comfortable. Here are some of the applications of Computational Fluid Dynamics. For any product controlling temperature is quite critical. If you’re operating a chemical reactor less than the required temperature the yield turns out to be less. At the same time, too high temperature will make it toxic for the workforce. Hence thermal management test is a must for any industry application. CFD involves a combination of unique simulations and analysis that generates unique results. 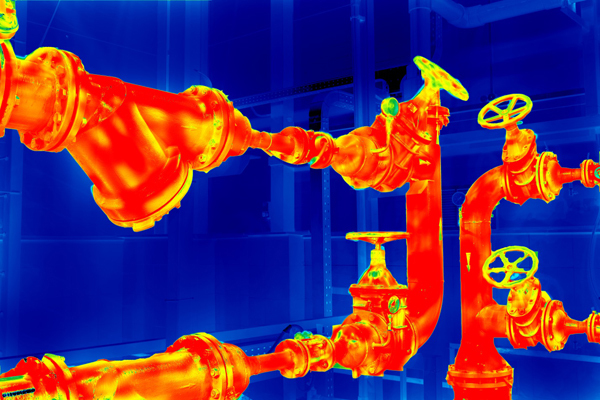 Several cases are solved based on assumptions and general rules, but for critical cases like thermal management CFD turns out to be more viable. Pumps, valves, compressors and fuel injectors are often prone to formation of vapour bubbles. It is quite a common challenge and in many cases can pull down the overall performance of the equipment. Excessive noise and vibration is one among the biggest challenges posed by cavitation. Hence to fix this issue, wide of range of CFD analysis and simulations can be utilized. Cavitation is a problem which can be avoided if the design is right. Hence engineers can utilize an array of CFD analysis methods to see the design doesn’t produce a model which is prone to cavitation in any of the relevant components. Improving efficiency of turbochargers and turbopumps is a big challenge for any manufacturer. Experts say improving this performance can actually save billions of money spent on air transport and gas powered electrical industry. Also, performance improvements with regard to safety, operating range, reliability, operating costs and time to market are other set of challenges involved. Accurate simulation is the optimal solution to overcome this issue and CFD applications are the right ones to do so. With CFD, not only your efficiency and reliability increases, but also you can lower your emissions. An important challenge involved in fluid flow management is structural interactions. Interaction of fluid with structures will actually cause damage to some parts and cause deformations. This in turn might change the course of fluid flow. To overcome this, you need to fix this issue in the design stage itself. To predict possible fluid and structural interactions, Computational Fluid Dynamics comes as a problem solver with its optimal simulations and analysis. Hence with CFD, you can better understand the behavior of your product and avoid challenges. Technosoft Engineering with an experience of two decades in the field of computational fluid dynamics offers impeccable solutions to simplify complex processes. Refer to this page to understand how the offerings of Technosoft are unique and how it keeps your ante up in the market. 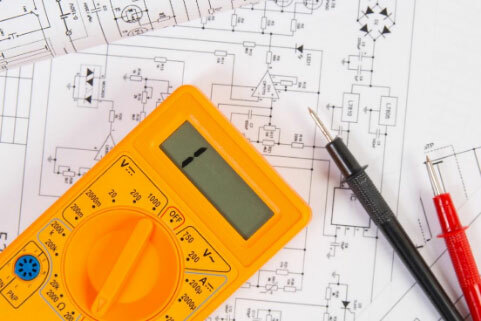 Also, know the Trends in Electrical Engineering Services. 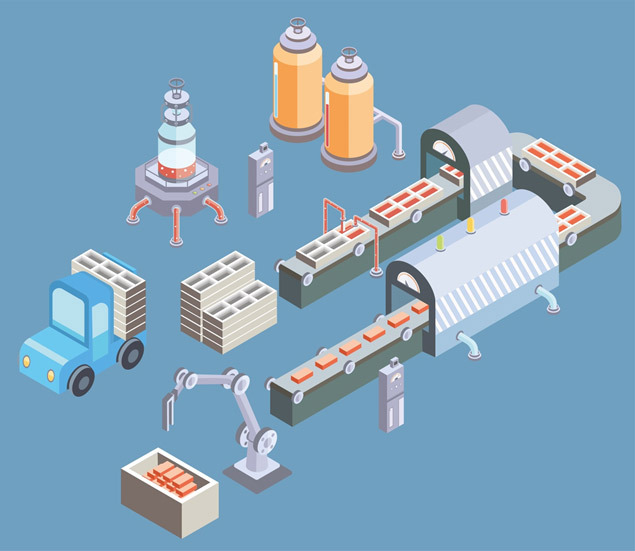 Finishing certain complex processes in factories is becoming simple and can be done without human interference. These processes such as assembling are monotonous to have humans work on it. Hence industrial automation services were involved in several assembling manufacturing processes. Every now and then we see certain trends emerging in this segment. Day after day, it is getting dynamic and more optimized to improve efficiency. 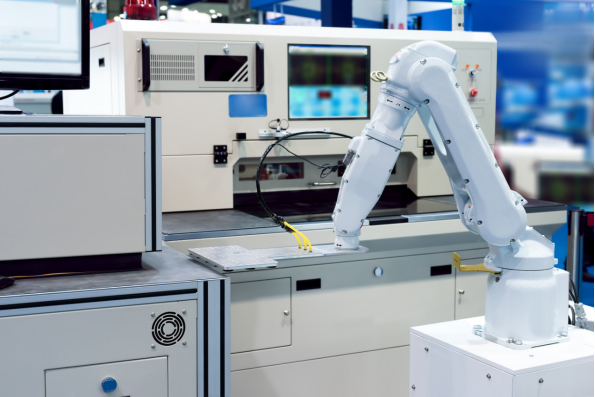 There are some recent upgradations in the industrial automation space which could soon become a trending practice in all the manufacturing facilities. Here are some of the trends that are happening in this space. If you understand cloning, then grasping digital twin will not at all be difficult for you. For example, you have one machine which does a particular process and replicating the same process with one machine will not be possible. In that case, you can create virtual equipment like the original one and assign the same to perform operations in tandem. This way, your production increases and so does your efficiency. Several reports were surfacing saying how digital twin is disrupting Product Lifecycle Management (PLM). Moreover, this has been widely used in healthcare and automotive industry as well quite widely. Integration is the new word in the tech world. For years, IT and OT has been two different domains. But there is a need to bridge both together. Under OT, one does monitoring and controlling equipment. On the other hand, under IT a lot of support management activities take place. But efficiency and productivity is said to increase only when both the operations are interconnected. A lot of research has been going on to converge both of these. By the end of 2019, we can possibly get to see manufacturing facilities with the convergence of both these operations. Cobot or Collaborative Robots as they’re called is now emerging. In 2018, its worth stood at US$710 million and same is said to surge to a whopping market worth of US$12.3 billion. These collaborative robots are said to increase production lines, increase productivity and improve employee safety. It is considered to be more affordable that even SMEs can afford having one and keep improving their efficiency from time to time. Europe, APAC and North American regions are heavily investing in this technology and soon we can see a lot of upsurge in investments and usage. 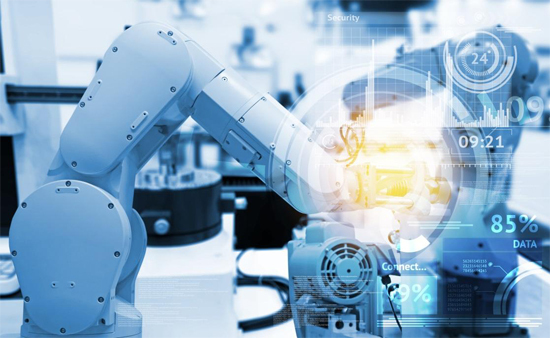 Augmented reality is not an alien term, but the advancements it offers for your manufacturing facility is something new. In the manufacturing space, augmented Reality is considered to have impacted product lifecycle management. Right from monitoring process improvements to inventory management and new product introduction, AR does everything to make your manufacturing process simple and efficient. Experts even say AR could allow one to look into the product pointing to the problem area. This is said to actually improve your efficiency and let you go ahead. Also, AR is widely used in different industries for different processes. Technosoft Engineering with an experience of two decades in the field of Industrial Automation Services offers impeccable solutions to simplify complex processes. Refer to this page to understand how the offerings of Technosoft are unique and how it keeps your ante up in the market. Most importantly, checkout Essential Processes to Make a Robust Robot Design. The world around us is developing quite rapidly. Several countries are seeing a lot of development like never before. New super powers are emerging; existing super powers are dependent on developing nations for services. Rapid urbanisation and development is pushing for a complete makeover in Transportation and commercial infrastructure sectors to name a few. This makeover calls for new technologies, which is actually increasing the demand for electrical Engineering services. The emerging trends in this sector are making the world a better place to live with easy access to everything. Even Cloud and 3D imaging has a role to play here. Let us take a look at some of them. The need to preserve environment is high allover. Off late, people realized the high performance machines are releasing toxic gases that are harmful to our environment and even to human life. In terms of electricity as well people looking to lower consumption by minimizing unwanted usage. In short, they’re looking for the perfect balance between consumption and utility. Several organizations are using IoT to get an optimal solution for this issue. Hence focus on sustainable electrical design is already taken seriously. Complex designs are the reason why implementation of certain concepts takes a lot of time. For example, let us say you have a huge construction project. The number of electrical lines required is quite high. Also, you have to complete this in a short time span. In this scenario, if you have a complex design in hand, you might not deliver what you had promised. This is pushing for simplification of complex designs and lower the project design time. Already leading players are implementing unique methodologies in designing processes which are said to increase the project design time. In general, 3D Laser Scanning is quite widely utilized for studying dimensional information on any object or surface. For example, let us say you’re all set to design electrical lines for an existing building. Here you’re not raising a new one. Hence you need to understand what already exists and see how you can take advantage of the existing lines. Moreover, this helps you achieve the priority goals of obtaining a design with high accuracy. Building information modelling is now going to the next level. Under BIM 4D you will set a construction sequence that adds extra information in the form of scheduling data. That extra information will also be on electrical designs. This extra detailing is going to help you build accurately on each and every level. Also, with BIM 5D you get to calculate the cost of every single thing i.e. not only the basic raw material cost. You also get the cost spent on the minute particles bought to make a good electrical design. Let us say you make a design and you need to deliver it to a client who stays far away from your location. You can easily save it in a cloud and share it with a client. This cloud sharing will be much secured as unlike emails, they are free from security breaches unlike other mediums. Technosoft Engineering with an experience of two decades in the field of electrical engineering services offers impeccable solutions to simplify complex processes. Refer to this page to understand how the offerings of Technosoft are unique and how it keeps your ante up in the market. 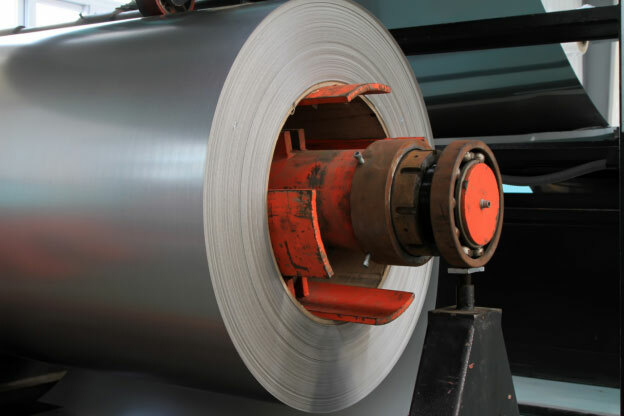 Also, know the Essential Factors in Steel Processing Equipment Manufacturing. Steel Processing Equipment manufacturing is among the niche large scale industries. It is required in every single place. We need steel to produce vehicles, vessels, equipment for building construction and what not. Hence the importance of processing it is far more than what one could think of. That’s the reason why steel processing equipment manufacturing is considered very important. It has to follow some essential practices to ensure you deliver quality products. Whenever you begin with a project, you set a timeline. For example, let us say you’re asked to deliver a set of large steel processing equipment to one of your biggest clients. You’re given with a deadline as well. How do you go ahead with the process? Setting targets both short term and long term, followed by continuous monitoring and proper delivery. Unlikely, the project is going to be in mess if you don’t follow schedules. If you monitor the work completion on time and ensure you atleast made 50 percent of the work by the second week, you are on track. If not you need to recheck and set new schedules. A big manufacturing unit means big money and there is no doubt in it. If you’re manufacturing 100 vehicles, you will probably have a small unit. But to manufacture in thousands and millions, you need bigger space and money. Reportedly, some manufacturers do not count certain factors when they begin to manufacture at large. For example, you might actually need 100 tons of steel, but you will only have 50 tons in hand. This is a case wherein you cannot deliver enough quantity of what you promised. This is more evident in the case of steel processing equipment. A value engineering service provider will strategize and limit your costs and still ensure you don’t compromise on quality. This is yet another factor similar to cost of installation. You need to define what you’re capable of delivering. For example, your manufacturing capability might be 1000 a day, but you would’ve promised double or triple of the same. Unlikely this is a possibility only if you manage to maintain your machineries well. As when it runs beyond capacity, it can hold only up to a level. For further manufacturing you need to understand the threshold of the machineries you have. So based on your capabilities and capacities, your manufacturing output is defined. Hence you either need to define your capabilities or you need to increase your capacity. By doing so, you deliver exactly what your customer wants. An engineering services company that offers reengineering services will be of great assistance in this case. With reengineering, you build capabilities and capacities that are not available in your products/services currently. You can do thousand things, but if you don’t deliver quality, you will lose your sheen. Generally people say when quantity increases, quality goes down. But this is not the case with successful brands. There are brands which are dominating the market for decades just for their promise to quality. Hence you need to give more persistence on quality and keep improving your capacity steadily. A value engineering service provider will be of great assistance in this case. Not only cost reduction, also quality assurance comes under value engineering. Hence you add more value to your products or services. Steel is of utmost importance for every single industry. Construction needs it in the form of bars and others in different forms. Hence as steel processing equipment manufacturer, you need to follow these essential factors and deliver the best to your clients. Technosoft Engineering offers impeccable solutions with an experience of several years in the field of steel processing equipment to simplify complex processes. Refer to this page to understand how the offerings of Technosoft are unique and how it keeps your ante up in the market. Also, get to know the critical factors that matter in component design services. Furniture and interiors play quite an integral part in retail business. You don’t randomly build a restaurant and expect people to throng for no reason. People come to you only when they find something more relevant to them. They come to you only when they see value in what you sell. Most importantly, they come to you only when get to connect themselves with the place. Retail outlets nowadays are theme driven and essentially buyer persona driven. In short, you build a retail outlet to draw people who are relevant to your business. To create that connect and relevance factor, retailers need impeccable furniture design solutions and interiors. Making a retail space of that sort, here are some of the critical factors furniture design engineers should understand. You run a food joint that is fundamentally targeting young adults. Moreover, your restaurant is placed in a locality where there are more schools and colleges. What could possibly be the right furniture for your food joint? Candle light dinner and romantic dates are going to be the concept behind it? If you think so, it’s time to realize that you have a wrong proposition. Young adults as the name suggests are young and peppy. They need an environment wherein they can rush in and quickly have some bites and leave. In other cases, it has to be like a group of friends are hanging out and they tend to have something cool. Hence you understand your target audience and setup an environment that they wish to have. Moreover, you analyze how your target audience tends to use the space. Durability is the most critical factor in any product manufacturing process. Yes, if your product cannot withstand a usage not even for a year, its credibility will be questioned terribly. Let us say, you’ve made new complete set of interiors in your retail outlet and in less than a month time all the furniture begin to crumble. This is because, it is not well treated to withstand for a longer period. On the other hand, customers have zero patience to such conditions. If they sit on a chair and it crumbles, your business for the day crumbles. You end up getting word of mouth depreciation allover and your brand might be at the risk of getting doomed. There is a thin line between arranging things and decorating. Often furniture and space are made for each other. Both of their presence complements each other. 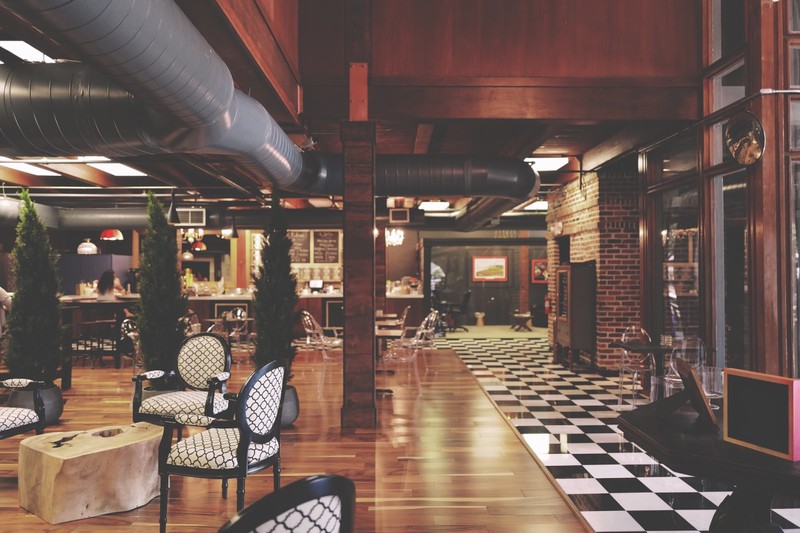 For example, if you have a vintage style floor and wall designs with a modern styled furniture in your retail space. This first of all doesn’t go well on the aesthetics point of view. Secondly, you built the space with a buyer in mind who is either a young adult or an ailing old man. All your furniture and wall designs must be comforting his/her senses just to ensure you draw the relevant crowd. Technosoft Engineering offers impeccable solutions with an experience of several years in the field of furniture design solutions to simplify complex processes. Refer to this page to understand how the offerings of Technosoft are unique and how it keeps your ante up in the market. Robotics has always been the most debated topics of all in the technology domain. Some say robots in our day to day lives will be a disaster. While some say it will simplify our lives far more than we think. Anyhow, we see a lot of Robotics application quite widely both in industrial as well as domestic arenas. Now people are ready to accept more of robotic applications to simplify their lives. Robot Design process is not as simple as machine designing. It involves some serious processes to ensure the machine delivers the best to simplify our lives. Most importantly, it has to ensure the error rate is zero. Here is the process that builds a robust Robot. You’re building a Robotic machine, but for what purpose? Are you trying to create Robots to welcome guests at your office reception? Or are these Robots going to help you in arrange goods in your manufacturing facility? Whatsoever it is, first define the purpose for which you are building the product and begin identifying the specific requirements. This process will let you go ahead with ease as you have a clear vision. Now that you defined the purpose of your Robot and also you identified the requirements to do that. Yes, you identified a problem and said why building a robot for the particular issue is essential. Now you must spearhead the research process. Under this, your target audience, functionalities of your Robot, Well Suited materials to build the Robot, scale of production and most importantly what operations it will be performing will have to be addressed. Post research, you have to start focusing on your Robot Design. Under this, you have to identify the possible solutions as well as the alternates. Even you should consider the specific design details, which will be accepted allover. A trial run before launching any big thing outside will actually let you understand the outcome. If it is negative, you can actually make the essential changes. You can even rework completely on the whole model. This step is more necessary for Robot Design because it is meant to replace a human. Anything disastrous will cost the existence of Robots and the valuable amount of hard work by several professionals. You successfully made a prototype and analyzed the outcome. If successful, you’re now responsible to build a robust Robot and launch it in the market. You need to follow some examples like The Art of LEGO Design which is widely used in the industry for inspiration. But several professionals do it in the prototype itself. Hence try to do it in Prototype stage itself. After finishing the robot design or robot manufacturing, you need to test if all the functions are perfect. So you have to check if all of the Robots that you manufactured are working and if all the functions you intended are working. By ensuring this step, you tend to give away a finished product to your end-users. Technosoft Engineering with an experience of two decades in the field of Robot Design services offers impeccable solutions to simplify complex processes. Refer to this page to understand how the offerings of Technosoft are unique and how it keeps your ante up in the market. As per common belief, only one thing in the world is common and i.e. change. Everything keeps changing from time to time. We might not be capable of predicting the time when it will change. Probably, our personal experiences made us keep the world of Technology more change prone. Yes, unlike other industries Tech domain is quite dynamic. The urge for using latest versions then and there has pushed it forward quite unprecedentedly. Each time, there is an external influence which causes a new trend. Likewise, in the coming days, the following changes are said to turn the table and open up avenues in the arena of CAD design services. 2D to 3D Conversion services especially is said to have a new dimension. All the designs you create in CAD are at the end of the day going to be used at a manufacturing facility, but there has always been a gap of understanding which leads to lack of quality delivery. Hence, integration between CAD and manufacturing is the need of the hour. Probably, this is said to improve efficiency by over 30 percent in overall operations especially in 2D to 3D conversion services. 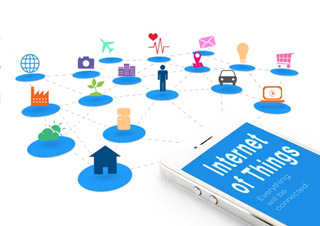 If there is one word ruling the tech domain and infact all our lives, it is IoT. Right from the smart home applications to integrated connections etc. IoT is there in everything. Consequently, every single machine or equipment manufactured today has to be IoT ready as per industry experts. Apparently, IoT is not only changing dynamics of consumers, but also the service providers as well as the manufacturers. Several manufacturers are implementing IoT applications to make work simple. CAD operations as well need to be IoT ready to simplify the whole operations. Mobile phones were not this important until someone found the potential to consolidate the life of an individual. Today we can do everything with a mobile phone like watching movies, playing games, reading news reports and what not? But experts have been saying CAD design and 2D to 3D conversion services can also be done with a smartphone. Yes, don’t we like to innovate? This is an example of how we can simplify professionalism. On the other hand, the advent of cloud services has opened up new avenues. Now Dropbox and Google Drive are said to get more sophisticated and simplified with simple storage and file management services. If a team fails to deliver the best results, the core reason is lack of proper interaction. If you have a team of 100 people and each one looks after a task, there must be communication between them to keep the work going smoothly. But unlikely, an external push is always required to do this. Augmented reality will be the new external force as per industry experts. 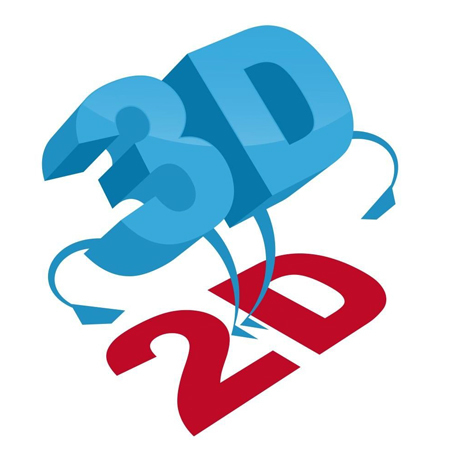 Superimposing computer generated imagery and data onto the real world are some of the changes expected in 2D to 3D conversion services. Apparently, you can make immersive experience with your CAD models using augmented reality. Technosoft Engineering with an experience of two decades in the field of 2D to 3D conversion services offers impeccable solutions to simplify complex processes. Refer to this page to understand how the offerings of Technosoft are unique and how it keeps your ante up in the market. Since the dawn of large industrial facilities, industrial equipment vehicles also came into the fray. Since then there have been a lot of innovation in industrial equipment design. We see a lot of equipment coming up year after year. Some to handle large goods and vice versa, but whenever someone designs an industrial equipment they keep some critical factors in mind. Some of them are as listed below. These criteria will ensure your equipment will be of use despite the changing times i.e. its relevance will be felt forever beyond limits. 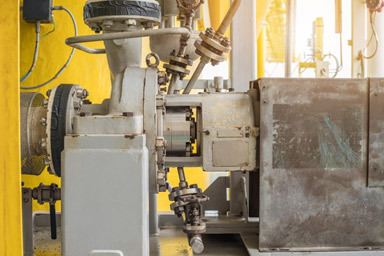 Some of these are trends which might persist in years to come, but some have always been the talking point when it comes to a kickass industrial equipment design. You might manufacture the best product in the world, but what is the requirement in the market actually matters. People want a small equipment to transport a small pile of goods, but you end up giving something to handle a hundred piles of goods. Usability is a big question here. Manufacturers nowadays require equipment makers to interact and understand their usability needs. Failing to do so, you’ll be the first one to perish. Every manufacturer has this in mind for sure and the recent regulations say anyone who fails to follow this rule will pay the price. Right from safety of your own employees to the safety in manufacturing everything is important. While moving the goods from one place to another, ensuring safety will be very critical. Malfunctioning of equipment carrying goods has been creating some ruckus in several manufacturing facilities reportedly. Often workers in the facility get affected due to it. The longer your product works, higher are your chances of customer retention. Be it even the smallest of all equipment, people come back when they see quality in it. Hence Durability has been and will always be the most critical factor in deciding the longevity of a product. While this quite applicable to all industries, as an industrial equipment person, you might feel it is not necessary. But like how we defined usability, durability is also very important. Let us say, somebody buys industrial equipment from you and it fails to function after some couple of days. Will the person bother to buy again from you? Well, chances here are like a cat in a wall situation. If they don’t have a choice, they will. But if they do have one, they won’t. This might doom your business and let you perish. The more focus on durability will mean a lot to your business. Aluminium and steel were widely used some decades before. Even today we see the importance of these in some of our products both industrial and residential. But after a point they get replaced with a new product. Fiber and plastic started ruling in several industrial and residential applications off recently. Again, it matters what suits an industrial equipment to be sturdy. Yes, steel keeps it sturdy. Hence a lot of recycled steel is making rounds nowadays. Owing to excess usage of steel, several people have been encouraging recycling them. Hence some of the industrial equipment nowadays do come with recycled steel and in the near future we can reportedly see this becoming a trend to encourage sustainable practices to save the environment. Technosoft Engineering with an experience of two decades in the field of engineering design offers impeccable solutions to simplify complex processes. Refer to this page to understand how the offerings of Technosoft are unique and how it keeps your ante up in the market. When was the last time you did manual defrosting to your refrigerator? When was the last time you switched off floor lights? Yes, IoT has made our lives simple by taking up the burden of all those extra efforts. In a way, it has made us lazy enough. This demand for instant solutions has driven the rise of IoT Product Design solution companies. But not all of them are viable and capable enough to understand and produce the right solution. If you’re stuck in knowing whether your service provider is capable enough or not, just look for the following parameters. If they follow any of these or all of these factors, then consider them to be fit for your project. As a device connected to internet, data generation is all set to be high day after day. This creates abundant data thereby flocking more and more. As a result, this becomes redundant data generation and one cannot find the relevant information. So always keep a check on the data generated in the products and make your design viable enough. If your service provider is not guiding you on this, then he/she is probably misguiding you. There should be a conversation on what to do with the excessive and large data buildup in the system. Let us you’re designing a product. Will you design it simply because you have to do one? So you always define the purpose and have a context for the product design. Likewise the service provider should always understand the context and take your project forward. If they fail to understand the same then that is going to be a big disaster for your brand. Always ensure you get on to the discussion of context. If not, you need to find a better service provider. Cyber security is the talking point elsewhere. Even large corporations are vulnerable to cyber security online. Your service provider must possess a robust cyber security architecture and policy to survive cyber security breach. Even the well-known social media platform- Facebook and several other tech businesses were subject to cyber-attacks recently. Hence security of system architecture is quite essential as your design can anyhow be stolen by your competitors. In case you’re building a critical product say for a government defense project, it might be approved only if it is developed in an authentic and secure facility. Thus, the importance of architecture security is more than what you had imagined. Value is the foremost important factor in any project that you take. It could be IoT product design, PCB design services, CAD design services or even engineering detailing. Value should be given foremost importance as you’re dealing with solving real time solutions of people. Hence in this case, emphasis on value is the key factor and your service provider should be on track. Be it research to innovate or frugal innovation. Service provider must do everything possible to make your product innovate enough to standout and deliver the best solution to all your end users’ problems. Technosoft Engineering with an experience of two decades in the field of engineering and IoT design offers impeccable solutions to simplify complex processes. Refer to this page to understand how the offerings of Technosoft are unique and how it keeps your ante up in the market. What Goes Into An Engineers Mind While Making Food Processing Machinery Design? Jams and pickles some decades before were homemade. Well, even now they are but not as prevalent as they used to be. Today we get instant food. While Jams and Pickles are basic processed food, nowadays we even get Pasta, Noodles and almost everything packaged. All we have to do is to add some hot water and eat. This is often called as Ready-to-Eat Food. These are processed in a facility and sent worldwide to people of different cultures. Aerated drinks, packaged chips and what not almost everything we see today is processed food. Engineers who make these huge food processing machines have a lot of creative process going on in their mind. These creative thoughts are triggered by couple of basic principles and understanding of the overall concept. Moreover, they make food processing machinery design with the concept of cooking for the masses. Wish to know how? Then join us in the ride of understanding machinery design. Now let us connect this with cooking at our home. We all have vessels of different kinds and different sizes. If you’re living alone, you tend to have smaller vessels. If you live with 3 or 4 as a family, you need medium sized vessels and it goes on. In food processing industry, you’re preparing food for masses. It is going to be sent worldwide in packets for sale. Hence every single piece of chips etc. should be perfect and balanced with the right flavours. Vessels play an important role in this matter. You cannot manage to cook for that many with smaller vessels. In manufacturing facility, it is going to be a series of events happening simultaneously. Even if you stop once, you fail to manufacture enough for the rising demand of your product. Hence understanding quantity is the first thing in the mind of design engineers in food processing machinery design. Again, we use some couple of vessels at home. Some are thick and some are thin. Some are flat and some are hollow. For example, you need thicker pans to make pan cakes as the thinner ones burn them soon. Likewise, if you’re preparing deep fried food items, you need a thin vessel and an option to slow cook or in medium flame. By doing so, you cook fries evenly. Temperature changes from vessel to vessel and even alloy to alloy. If you’re using hard iron base, deep frying might happen with ease. The same you can do with stainless steel, but it might heat up soon. When you do something for the masses, you need to keep cleanliness in mind. The vessels are used once and the debris stays. Will you run the machines with the same leftovers? If you say yes, try to say no. This might sound normal in home cooking environment as we don’t use any preservatives. But when it comes to a facility of mass cooking, preservatives are involved and there are chances of insect infestations. But again, it is not that every time you have to clean, once a day will definitely be recommended. Hence a design engineer will always make an option to easy clean the vessel before running it for the next use or the next day. Hence cleanliness & hygiene is an integral part of food processing machinery design. Author Technosoft MarketingPosted on October 29, 2018 February 4, 2019 Categories Machine & Robotics1 Comment on What Goes Into An Engineers Mind While Making Food Processing Machinery Design?